> Greetings from Saksoft !!! > Currently we are hiring for Manual Testing For COLT (On Saksoft Payroll). > Please find the JD below. > Telecom knowledge of BSS/OSS will be helpful. > Good hands on HP ALM. > Zycus is looking out for a Core Technologist, with coding experience of about 3-6 years, and hands-on experience in Software Product Development and ownership. > Headquartered in Princeton, U.S. in 1998, Zycus has grown every day to be established as an organization which now is a leading global provider of complete Source-to-Pay suite of procurement performance solutions. > We develop cloud-based (SaaS) Source-to-Pay solutions for large global enterprises, and have successfully deployed about 200 solutions to over 1000 Global clients. We are proud to have as our clients, some of the best-of- breed companies across verticals like Manufacturing, Automotives, Banking and Finance, Oil and Gas, Food Processing, Electronics, Telecommunications, Chemicals, Health and Pharma, Education and more. > Design, develop and enhance the test automation scripts. Using appropriate coding and naming standards while developing framework APIs and utilities. Unit testing framework APIs and utilities. > Minimum 5+ years of experience in performance engineering. > Hands on experience coding skills mainly on Python, Go or Java. > Must to have hands-on experience with system monitoring tools and frameworks. > Very Strong experience of database performance. > Techie with strong experience in scripting using Python , Robogalaxy , Selenium , Rest – API. > Should have knowledge of REST framework using flask and HTML5. > Knowledge in various configuration build tools. 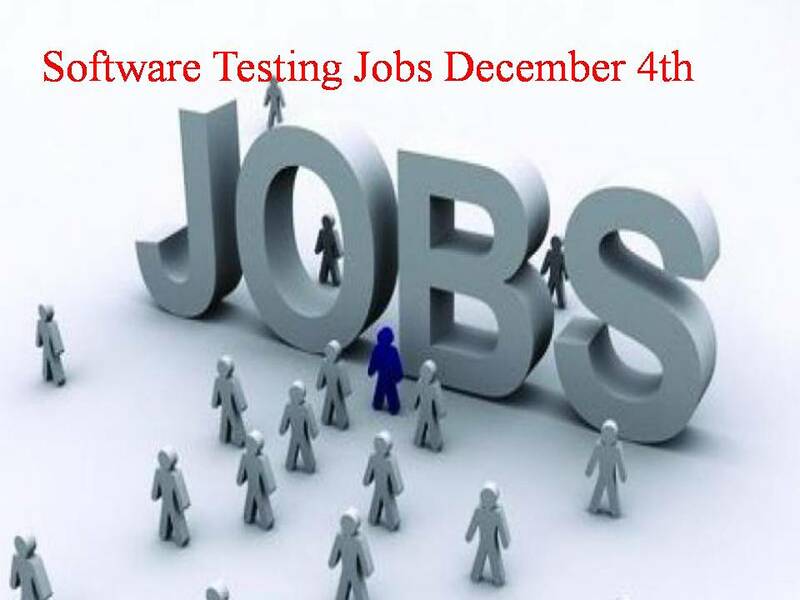 The Software Development Engineer in Test (SDET) is responsible for developing and executing comprehensive suites of automation test plans and test cases, maintaining and adding to existing automation framework, continued evaluation of test cases for inclusion in regression, automation for newly integrated features, and development of toolsets to augment QA and Development testing. The SDET will also work closely with Software Developers and other QA engineers in small scrum teams to deliver the highest quality products in a timely and cost-effective manner. Appium- L2 As a Senior Test Engineer you should able to devise Test Strategy, review test plan, traceability matrix and ensure usage of tools for optimization. You should be able to ensure the availability test environment, design test and defect reporting formats and manage the team. You should update project related data as required in applicable systems and ensure timely reporting and response to stakeholders. Company Name : SecPod Technologies Pvt. Ltd. This position is for a skilled and experienced software tester responsible for ensuring quality of SecPod products. Should be able to develop test cases, perform automation and test these subsystems and software components in complex multi- platform environments. > We are looking for Quality Assurance software testers ($20K/year) to work on multiple products, technologies, and environments, documenting and recording high-quality test cases. > As a software tester, you will be conducting manual testing execution and test case documentation. > You also will be able to walk through our products, identify potential bugs and suggest how to test and prevent similar ones in the future. > Participate in agile grooming, scrums and sprints, sessions to ensure full understanding of the stories/requirements/acceptance criteria to verify test ability. > Understand and identify data, functional, performance and security stories/requirements to ensure all test case scenarios positive and negative are covered. > Write quality functional and performance test cases (manual & automated) and perform end to end tests on a regular basis. > Create problem (bugs) tickets for issues identified with automation or functional tests. > Work closely with multiple development teams to drive issue resolution. Company Name : Yatra Online Pvt Ltd.
> Good knowledge of SQL and API testing. Understanding of basic web concepts like HTML, CSS, REST APIs, etc.